That includes the one proposed for White Street, the site of the current Manhattan Detention Center, that could rise as high as 50 stories at the border of Tribeca and Chinatown. 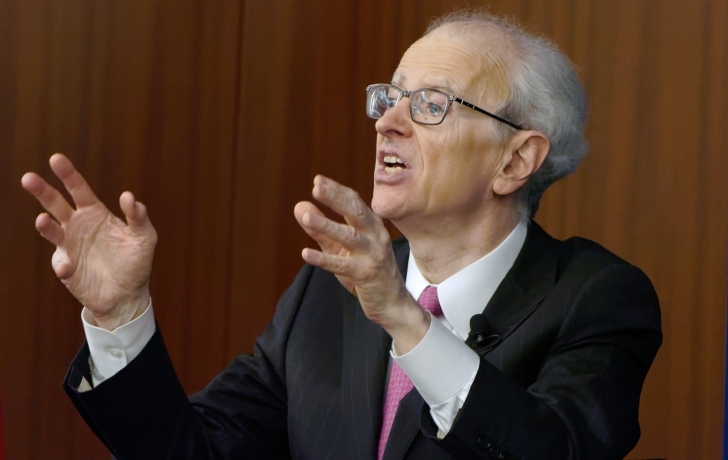 Jonathan Lippman, former chief judge of the state’s highest court, said on Friday that his independent commission, which convinced Mayor Bill de Blasio to embark on an ambitious plan for creating a borough-based jail system, never envisioned the kind of high-rise facilities that now have communities up in arms. “Those buildings are way too tall. I don’t think you have to be a nuclear scientist or a jail designer to get it,” said Lippman, who chairs the Independent Commission on New York City Criminal Justice and Incarceration Reform—more commonly known as the Lippman Commission. De Blasio and other administration officials have said they are “working” to reduce the height of the Manhattan building, which could be triple the square footage of the current Manhattan Detention Center complex’s two buildings, 124 and 125 White Street. But so far they have cited only the maximum allowable height of 520 feet as a starting point. Lippman, the former chief judge of the New York Court of Appeals, said he has spoken to “the highest levels of people in the city” about creating much lower buildings and he is optimistic that they will agree. He also encouraged opponents of the towers to voice their concerns at upcoming hearings that are part of the city mandated land use approval process. The city’s plans, which call for a capacity of 1,500 detainees at each jail, have been met with heavy opposition in all four boroughs where new jails are proposed. The Queens House of Detention could triple in size and rise to more than 300 feet, while the Brooklyn Detention Complex could be replaced with a structure as tall as 430 feet. Many of the fiercest opponents of the Manhattan jail, first proposed for a potential 40-story facility at 80 Centre Street, are not mollified by the city’s decision to scrap that plan and potentially build a skyscraper jail on the site of the Manhattan Detention Center. Lippman offered his own reason why officials are keeping Staten Island out of the fray. “It certainly doesn’t help when the administration, for political purposes, says they’re not going to build a jail in Staten Island,” he said. A draft environmental impact statement, an analysis of potential neighborhood impacts from the proposed jail project, will be issued on March 25. The six-month-long land use review begins in April, with public hearings before the community boards, borough presidents, City Planning Commission, and City Council.